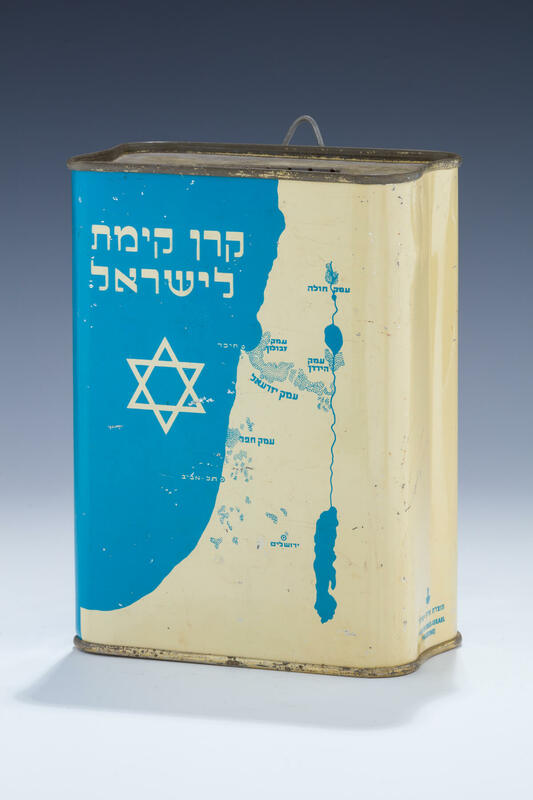 A LARGE TIN JNF/KKL CHARITY BOX. Palestine, c. 1925. Decorated with the map of Israel and KKL insignia. With handles for collecting. 6.7” tall.